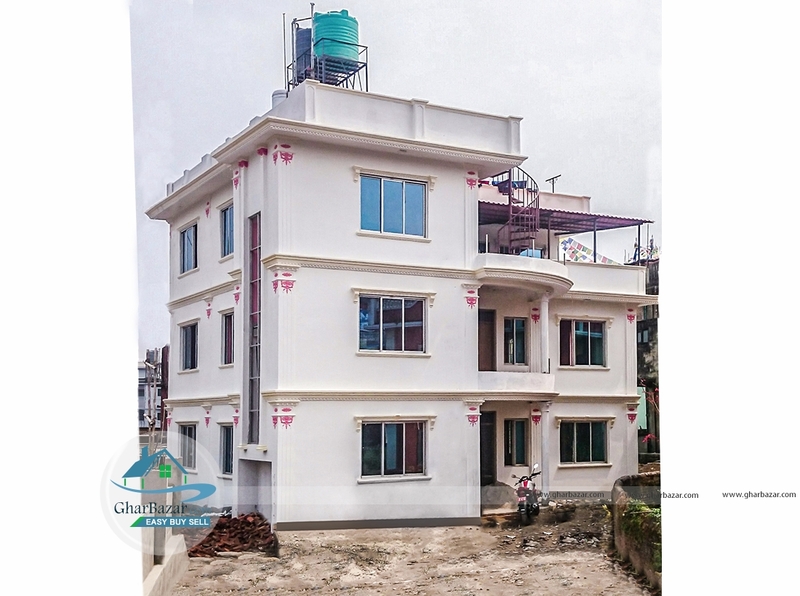 The house is located at Jorpati, Kathmandu. It is 11 meter from main road and has access to 36 ft road. The land area is 10 aana 2 paisa 3 daam. The house is faced toward South-West. It is not furnished but ready to use. It has a parking lot. It is very suitable for Finance, IT companies and INGOs. 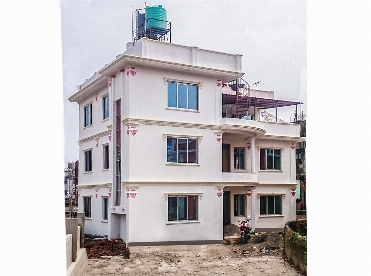 The rent is 1 lakh per month for full house and 65 thousand per month for 2 flats.